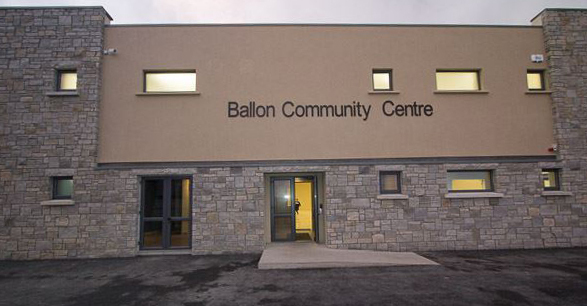 Ballon hall was a typical 1970’s community centre. A place for locals to meet and enjoy nights of bingo and drama. PDS were approached to design and re-develop this existing facility taking into consideration the needs for a modern society including an international sized basket ball arena, tennis & badminton court areas, function room capabilities to cater for upward of 300 patrons, first floor viewing area BUT still keeping the community aspect for the locals who will still attend for bingo nights and local drama festivals. After a 9 month build time we feel the final product has achieved these demands and still remains am integral part of the local community.